Museums, libraries, and cultural institutions are opportunities for people to understand and celebrate who we are, were, and might be. These institutions are vehicles for educating and civilizing society that work on a variety of levels, ranging from a community event to a single child making a first visit. 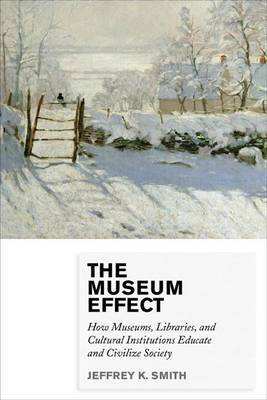 The Museum Effect documents this phenomenon, explains how it happens, and makes suggestions as to how these institutions can work to facilitate this process.